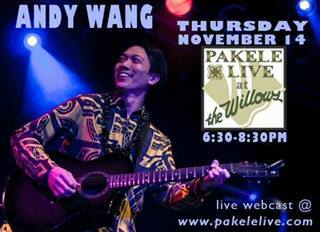 On Thursday, November 14, 2014, I performed at the Willows Restaurant in Honolulu, HI. Part of my performance included my fundraising campaign to bring clean water to India. The webcast is available at http://pakelelive.com. My friend Kris saw this street sign in Honolulu and thought of me, well because, I am in New Jersey. I posit that this is documented proof that “aloha” exists in the Garden State. After all, we have Hawaiian luaus, hula, and music. 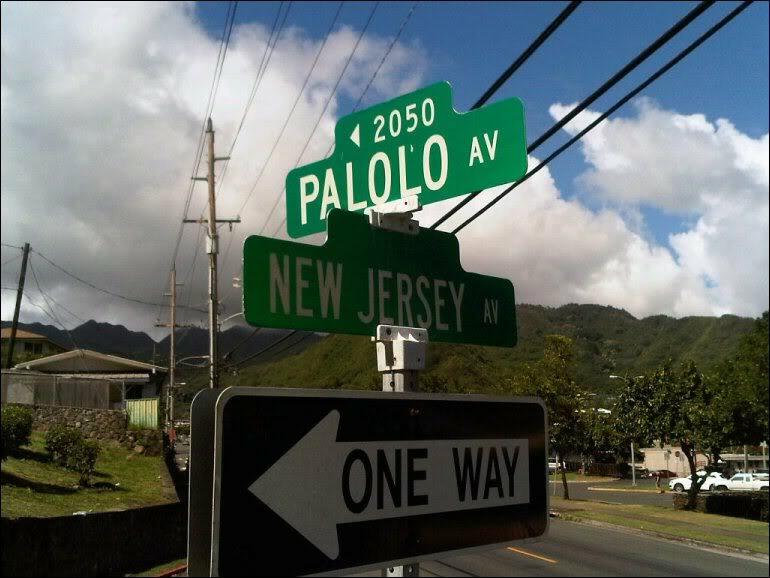 In fact, the states of Hawaii and New Jersey do not only meet at the intersection of Palolo Ave and New Jersey Ave.
Aloha from Honolulu! 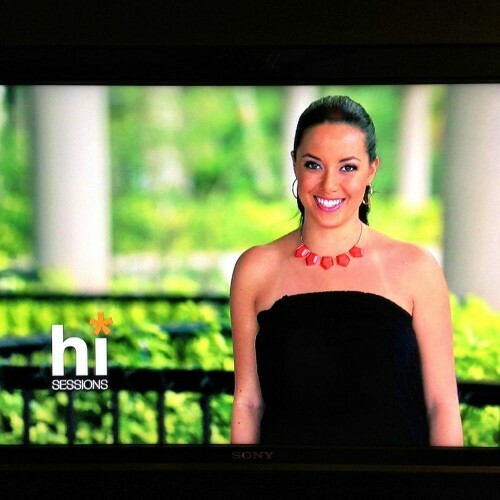 Today, I was invited to drop in on a HI*Sessions test shoot. 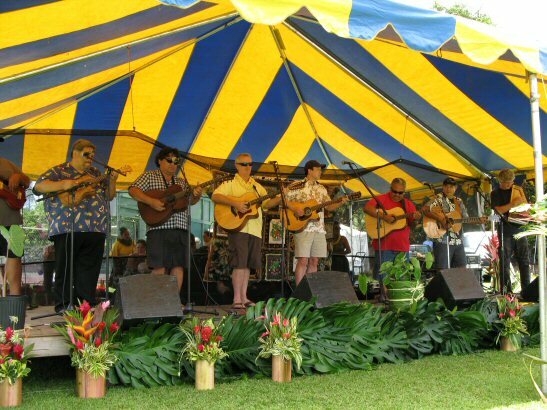 HI*Sessions is a project started by Dave Kusumoto and Jon Yamasato (Pure Heart) to present intimate, quality live music performances by Hawaiian musicians to the world. This is a very cool concept that will include video, podcast, blog and photo gallery. I am amazed at the quality of the videos that the team of dedicated volunteers are producing. I had a blast sitting in playing guitar with Jon and Darin for a tune. 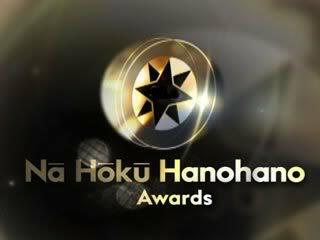 I just returned from Honolulu where I visited family, played music, attended to business, and went to Nā Hōkū O Hawaiʻi Music Festival and Nā Hōkū Hanohano awards. If you’re a fan of Hawaiian music, you’d have loved the last 72 hour music whirlwind that I just experienced. 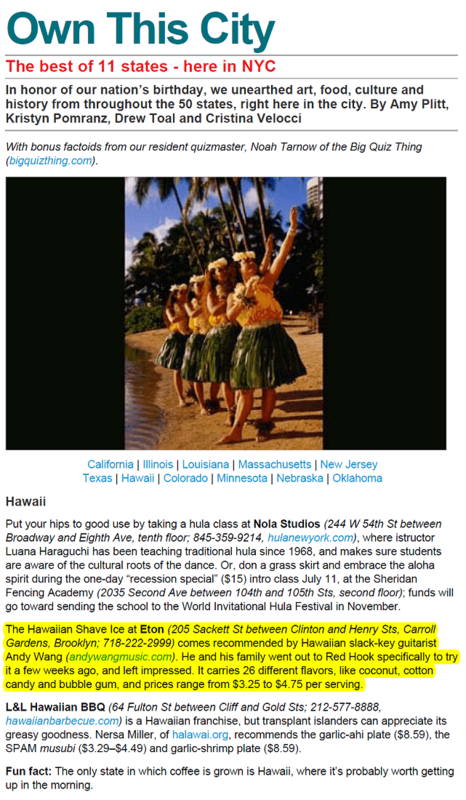 Time Out New York included Hawai’i among its “Best of 11 States” where they unearth art, food, culture and history from various states, right here in NYC. The list is far from comprehensive, but it was fun seeing my name in print. The shave ice was good too.